For 20 years we have serviced contractors and homeowners with dependable construction and renovations in all aspects of a building’s exterior, including custom waterproof vinyl decking. 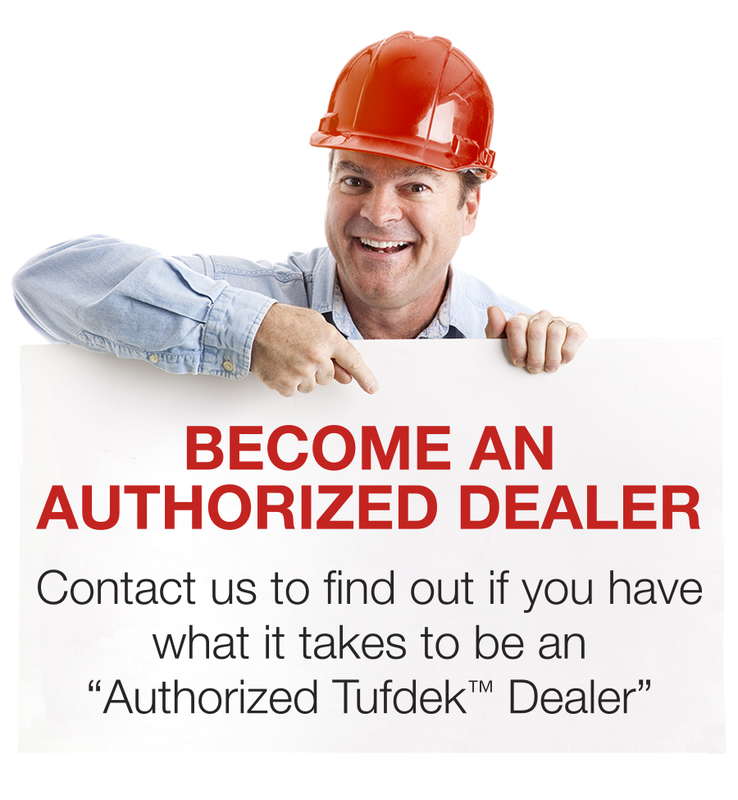 We are your local authorized Tufdek™ dealer for waterproof vinyl decking in the South Okanagan, which means that our decking installers have completed Tufdek’s™ factory training program. This vinyl decking is backed by over 20 years of research, lab tests, and field-testing, and is known in the industry as one of the best waterproof vinyl decking products on the market. Over the years, we have built a reputation throughout the South Okanagan community for doing the job right the first time. This is why we can offer a 10-year work warranty on our jobs! We also offer on-site assessments, accurate price estimates, and realistic timeline for completing any decking job. In additional to installing Tufdek™ waterproof vinyl deck flooring and aluminum railings, we also install patio covers, sunrooms, windows, doors, insulation, siding, soffits, and eavestroughing. Recently we have extended our construction and renovation services to include interior mirror and shower door installation. To learn more about our South Okanagan vinyl decking and railing company or find out more about why Tufdek™ is the right waterproof vinyl decking for your next project, please call us at 1-877-860-9333 or fill out the contact form below.